MANAGED IT SERVICES - StraightUp IT Solutions Inc.
Get StraightUp advice, secure installation and swift support for all of your Managed IT Services. Take the hassle out of staying up to date with technology. That’s our job! We’re very flexible, offering a variety of Managed IT Service and Tech Support plans which allow you to control costs and save money on staffing. Whether it’s updating and installing computer equipment, backing up your precious data or remotely monitoring your network, we’ve got you covered. Whether you’re expanding, relocating or updating, our expert IT consultants can assess your existing IT network infrastructure and help you find the most cost-effective solution. Before any purchase, we will assess your long-term needs and create strategies to get the most out of your IT budget. Our managed IT services are flexible and our advice is always StraightUp. Our experience working with ad agencies, publishers, accountants and city planners has given us a deep understanding of the unique needs of each industry. We can help purchase, implement and automate the tools you need to run your business. We carefully select all suppliers and only establish partnerships with trustworthy providers that have a proven track record of excellent service and support. At StraightUp, we have been providing off-site backup services before it was called the “cloud”. We protect your data investment with optimized, managed backups that keep your data safe, your costs low and your business running. Talk to us about the benefits of using our hosted storage. We take full responsibility for your online backup management– from monitoring the data transfer process to recovering every file. You can rest assured that your most critical web applications and data are backed up and available at a moment’s notice. Systems need to be running 24/7, not bogged down because a backup is running. Our backups use True Delta technology to transfer only the data that has changed. 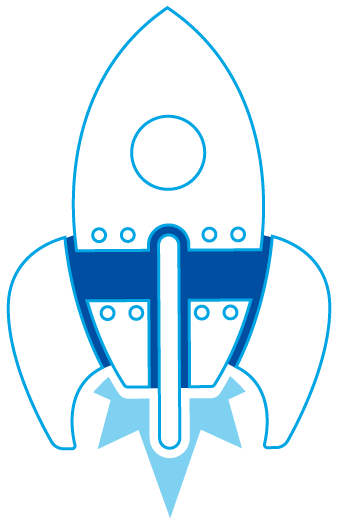 We provide daily backups of everything from a single file, to an application database, to an entire server, and support Apple, Windows and Linux servers with native plug-ins. We can also provide an onsite drive to duplicate offsite storage. All backups use a minimum of AES 128-bit encryption to secure the data, ensuring no one can read the data during transmission or in storage. Best of all, the backups are stored on Canadian storage servers and comply with the toughest Canadian privacy legislation [PHIPA?]. All backups are stored off-site from the location hosting your web applications and data, guaranteeing we can easily recover every part of your environment, even in the face of a disaster. Backups can be kept 30 days to 3 years. If something needs to be recovered, we know you need it running pronto. We can start to recover your data in minutes – not hours and prioritize your critical files. Our cloud backup service eliminates the cost of upgrading and replacing bulky offsite backup drives. Server backups are billed based on the amount of original data backed up –so as the historical backup grows, your cost does not increase. Plus, invoices are in Canadian dollars. We pro-actively manage your network, ensuring reliability and speed. 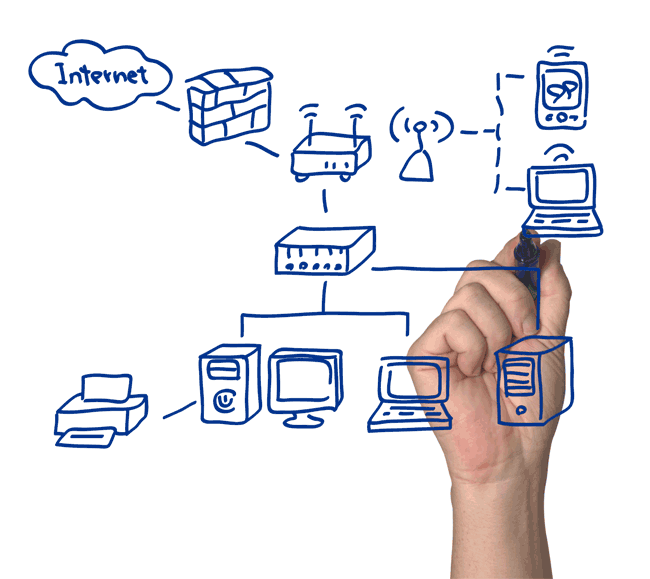 We can set up and manage routers, servers and modems, and manage relationships with internet service providers (ISPs). We provide mobility device management (MDM) solutions for a wide range of popular mobile devices, ensuring the integrity and security of your data over multiple platforms while allowing employees the flexibility to access content on their chosen device. Microsoft Exchange hosting allows you to easily access business email, calendar and contacts on your PC, phone and web browser. We’re confident that their hosted exchange service will help you increase productivity and safeguard your business. Our proactive systems allow precise monitoring and responsive troubleshooting, on and off-site. We are dedicated to offering knowledgeable technical support quickly and in whatever form is most convenient for you. Our asset management systems can help you increase efficiency and make informed purchasing decisions by providing you with inventory lists, licensing information, upgrades and disk usage information. Controllers and insurance companies will love you! We have probably seen and fixed most computer and network problems over the last 20 years. If not, we have a proven track record of finding answers fast. Whether it’s talking you through a solution over the phone or problem-solving on-site, we are dedicated to providing knowledgeable technical support using whatever method is most convenient for you. If you need help, we provide a variety of support options, including an online ticketing system which is integrated with our asset management system. This allows us to closely monitor and respond quickly to any issues. Our technicians are happy to help you in-person, by phone or email, as needed. Whether you run on Windows, Apple Mac or Linux, our remote management systems can help you resolve many IT problems remotely, saving your saving you money service calls. We use several remote administration systems that are linked to servers 24 / 7. We can even solve your IT issues while you travel! Monitoring: Servers, workstations, exchange, network equipment and connectivity. Customer reporting: Automatic reporting on faults and status (daily, weekly or monthly). We'll give it to you StraightUp. © StraightUp IT Solutions Inc.